The new device wants to win you over with affordability and style. Activity-tracking wristbands are a dime a dozen these days, but each device takes a different approach to monitoring your fitness. Some pretend to be timepieces while also counting your steps, others are full-on smartwatches, and still more aim for style and subtlety over flashing LED step counts. 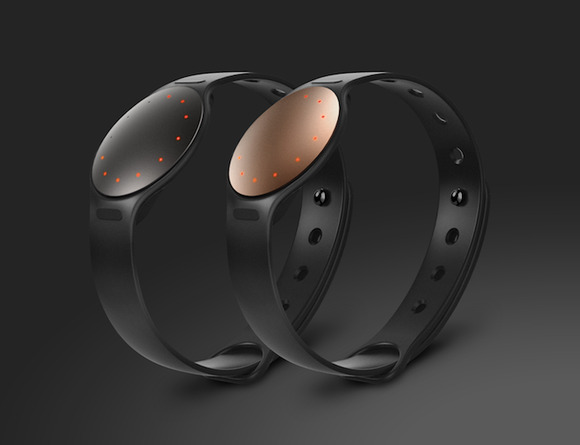 Misfit’s Shine, and its newly announced Shine 2, are squarely in the latter camp. The Shine 2, now on sale on Misfit’s website for $100, mimics the design of its predecessor, but that’s not a bad thing. The original Shine looked a minimalist though slightly strange bracelet when it launched in 2013, but that was appealing in an age of all-around hideous activity-trackers. Now companies are upping their game, so Misfit had to polish the Shine’s rough spots—most notably, its syncing and accuracy. Misfit also paired the new device with its Link app, so you can set up the Shine 2 to act as a remote control for playing music, take selfies, and a variety of other functions using IFTTT recipes. The Shine 2 is smarter and faster, but it’s also thinner and now comes in rose gold, which is the hottest color in technology these days. (See: Apple, Samsung, and HTC’s newest flagship phones.) It has the same battery life: about six months with no charge necessary—though you’ll have to replace the battery if it dies. You can buy a Shine 2 right now online for $100, or pick one up in-store Nov. 1. Stay tuned for a full review of the Shine 2, which might be the wearable that wins on affordability and style.